A lot has been written about the Trump Presidency, not in the least by the protocol experts. We have to thank the new President for so many opportunities. Or as William Hanson recently put it on Facebook about yet another incident: "Much to discuss". Pamela Eyring of the The Protocol School of Washington was recently interviewed by The New York Times about the casual sit of Kellyanne Conway. The remarkable behaviour of the President's advisor took place during a meeting in the Oval Office of representatives of so-called 'historically black universities'. Historically black universities have been founded before 1964 specifically for the black community in the United States. Pamela called the incident "a step too far". DeRay Mckesson, a prominent figure in the 'Black Lives Matter movement' went a little further on Twitter and wrote: “Now, you can’t expect us to take this ‘meeting’ seriously when this is the setting". The behaviour of miss Conway got more publicity then the meeting itself. Last week press secretary Sean Spicer wore two different shoes at a press conference outside the White House; one brown and one black shoe. Did he have trouble waking up? He overslept and accidentally put on two different shoes? 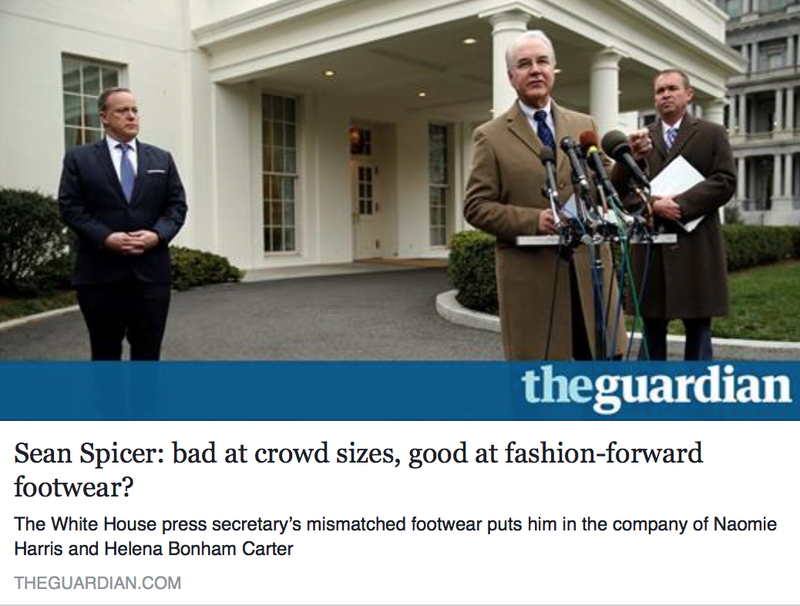 The shoes got more attention than the Republican bill that was discussed during the press conference. Want to know more about protocol? The last incident was the photo opportunity with the German Chancellor. Did Donald Trump ignore her request to shake hands? 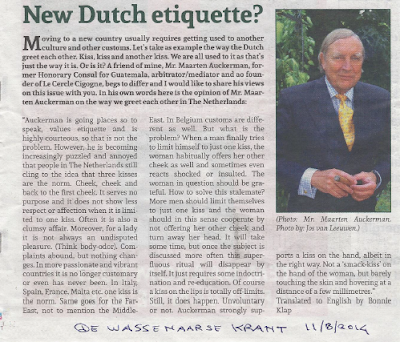 A reporter asked them for it after which she whispered "do you want to have a handshake?". 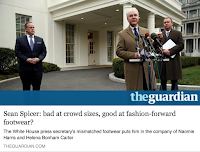 Read the article about Kellyanne Conway in the New York Times or the article about the shoes of Sean Spicer in The Guardian or the article about Angela Merkel in Time Magazine. 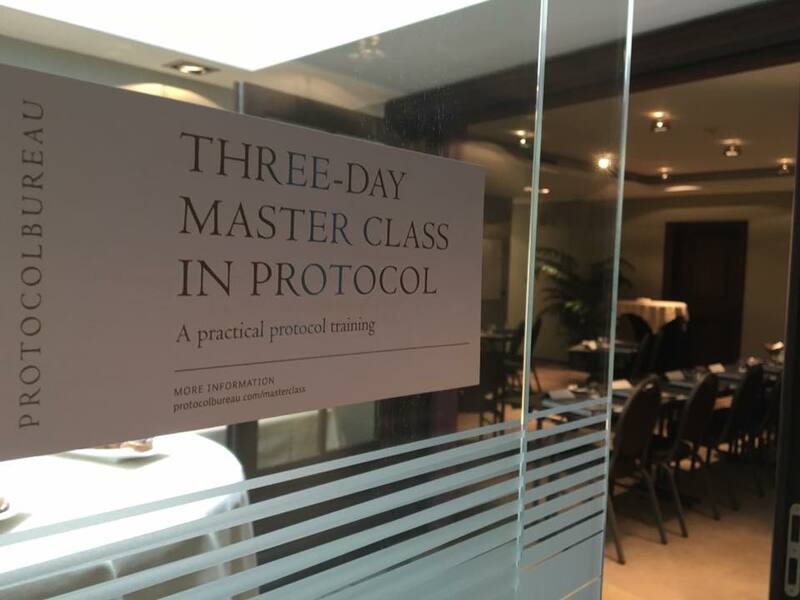 Follow our basic protocol training on 21, 22 & 23 June 2017 in Brussels. Or choose another article of your interest in the blog archive in the right column. Or scroll further down for books about protocol, interesting links, articles about protocol and protocol related tweets.